Malin Arvidsson, Natalie Minnevik, Shanti Roney et al. It is late summer in Stockholm. National Criminal Investigation Department special unit for violent crimes of international nature, sometimes known as the A group, waiting with some sadness in autumn. An unspectacular robbery in a video store in a back street changes on the matter. A surveillance camera captures the course, and behind the robbery tone something up which have far-reaching consequences. A strange, frightening form of crime exposed, slowly forcing the A-group to be confronted with contemporary anything crazier fixation on the surface and shine. At the same time pulled the former A-team member Paul Hjelm into an international tangle. A senior manager at security police disappear abruptly, and Hjelm is trying to find him. As he is drawn towards the global conflicts of hidden epicenter forced him handle the issue of how to defend against evil without getting hurt. Really need democracy has always defended by undemocratic means? 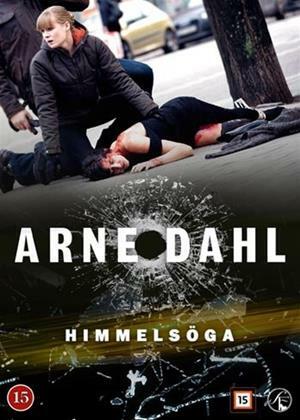 Since Himmelsöga is the tenth book of Arne Dahl's internationally award-winning series on the A-group occurs here your own detective mystery: Will Himmelsöga really the last book in the suite? Is the strange tale of the pseudonym Arne Dahl hereby over? The answer is in Himmelsöga ? ?